We are stoked to chat with both OIJ and the esteemed Rochelle this week, as they both bask in the success of their recent collaboration “Control.” Get to hear more about how the track was made in our exclusive interview below. How are you doing today? Can you talk us through a typical day for yourself? OIJ: I’m great, summer has finally started here in Amsterdam! My usual days are spent in the studio working on new songs and improving my live show, not only sonically but also how I can make it more sustainable. Rochelle: I’m good. A typical day for me most of the time is answering my mail in the morning, then going to the studio, not too early. Go home, not too late, because I like doing more things in a day, like having a decent meal. We’ve been thoroughly enjoying your music of late. Do you feel like your sound is where you want it right now? OIJ: Thank you! I’m quite the perfectionist, but am very happy with how my last single “Control” turned out. The asian instruments (i.e. taiko drums, sitar and a koto) give it a bit of an Eastern vibe which helps it stand out. What do you like listening to when you’re not making music? Any surprising choices? OIJ: I like to listen to ambient and cinematic piano music to wind down. I’m also a big fan of rap but also of electronic music like Jon Hopkins. Rochelle: For me my playlist has to fit my mood, which changes a lot. But generally a lot of R&B, urban pop tracks. Sometimes there’s a hard rock track which can come as a surprise (not to me, though). You’ve teamed up with Rochelle to make “Control,” and it carries a strong message. What inspired this tune? OIJ: When I wrote this tune with JT Roach and Justin Gammella there were many things happening in LA. Trump had just become president and the women’s march had just taken place. We wanted to make a song about female empowerment and women in control. It really resonated with the current times and I’m very happy about the message it conveys. What did you learn from the creative process with her? 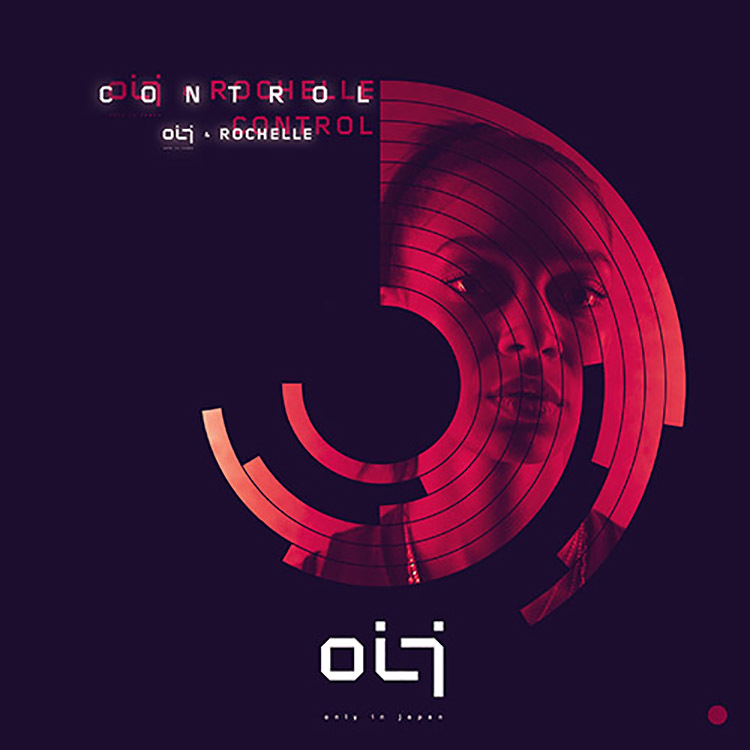 OIJ: Rochelle is very pleasant to work with. She is very talented and it was easy to work together. Her voice fits really well with the song, very strong and independent. Your “Kintsugi” EP is on the way! What can you tell us about that? OIJ: Kintsugi will likely have two sides. One side will contain pop songs and the other side contain more electronic dance. I want to show both sides of OIJ to the world. The day and the night. Even though both sides will be very different there will be a recognisable OIJ sound that brings them together. OIJ: I look forward to promoting “Control” and finishing the Kintsugi EP. I’m also looking forward to the improvements I’m making to my live show and can’t wait to try them out! Rochelle: Some new releases! Like “2shots” coming on the 1st of June. It’s a nice vibey track for the summer.